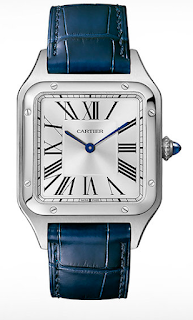 Cartier's latest watch is dedicated to the Aviator Alberto Santos Dumont and has design inspiration from 1904. This watch is an entry level piece which features exotic squarish box measuring 38.5mm (or 43.5mm), Roman numbers in console, bolts on the top, crown has beads on it. 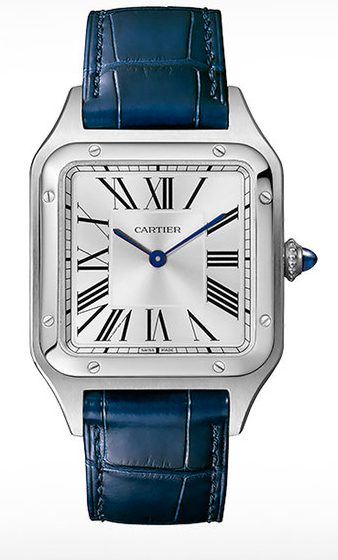 This watch is available in Steel, Two Tone and 18k Rose gold shade with leather strap.